One of the more popular topics for SWTOR theorists has been that of which classes remain to be revealed. Of the eight possible classes, three have been officially announced (Trooper, Smuggler, and Bounty Hunter), with two others being considered ‘given’ (Jedi and Sith), leaving three slots completely unknown. This, along with a slow trickle (if it can even be called a trickle) of information, and the lack of a release date preventing us from predicting when class reveals will happen, have stoked the hopes and passions of many a SWTOR forum-goer. So, what are the most popular ideas put forth? How can we hope to evaluate their likelihood? Let’s discuss in reverse order, of course, cuz I’m a bit daft. BioWare has given us hints in their various oft-repeated catchphrases as to what makes them choose the classes they’ve chosen to implement. The three largest requirements seem to be that the class be iconic, heroic, and unique. The ‘iconic’ descriptor should serve well as our possibilities filter, as it gets rid of numerous silly suggestions. Battle-mages are certainly heroic, but definitely not ‘Star Wars’. The words Jedi, Sith, Trooper, Smuggler, and Bounty Hunter all produce immediate characterizations in the mind of the Star Wars fan. What are some others? Senator brings to mind Leia and Padme. Officers bring back memories of the insidious Grand Moff Tarkin and every other cocky guy in a dark uniform with an English accent. Pilots are seen throughout the original trilogy. Crime Boss could perhaps remind someone of Jabba the Hutt. Assassin may conjure up images of Zam Wesell from Episode II. Engineer may remind people of young Anakin. [Republic] Senator – This is one of the more infamous suggestions being kicked around online, and one I personally support. It is iconic, as I mentioned above. Leia and Padme are two of the most influential characters in the saga. The common objection is that it would suffer in the solo ground-based combat game. They lack the weapons and armor of the Trooper, the gadgets of the Bounty Hunter, the tricks of the Smuggler, and they are certainly no Jedi (Senator/Chancellor Palpatine being the exception). However, I believe their saving graces would come in the form of accuracy bonuses and their companion characters. Leia and Padme don’t shoot nearly as much as many of the other characters, but their hit percentages are higher. Companion characters have been confirmed by BioWare, and this could be a great help for the Senator class. 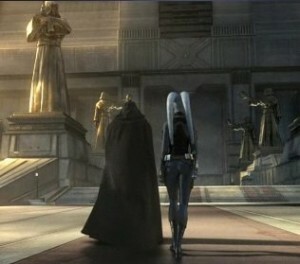 Leadership abilities could enhance the abilities of a Senator’s bodyguard, greatly assisting with the smoothness of questing. In groups, having a buffbot is definitely handy, making this class highly desirable. [Sith Empire] Officer – Ah, the Officer class. While being a good pairing against the Senator—both are leaders, wear light clothing, and usually brandish pistols—it is also iconic in the same way the Troopers are. Many of the extras in the movies wore this uniform, and it’s immediately recognizable. To top it off, Grand Moff Tarkin was perhaps one of the most evil, brilliant, power hungry men in the Empire. Honestly a pity he died in Episode IV, as he was played brilliantly by Peter Cushing. In my mind, the Officer would play much like the Senator. Light armor, deadly accuracy, and group/companion buffs. I’m sure the Officer’s training would play into some kind of tactical and dialogue bonuses as well, which would flesh out the class nicely. If either the Senator or the Officer don’t make it into the game, I would be very surprised. [Republic or Empire] Pilot – Images of orange jumpsuits with white helmets, or modified stormtrooper armor with breathing apparatuses certainly appear in the original trilogy quite a bit. Luke spends a good portion of his screen time in his flight suit. There’s always the famous Wedge Antilles, who went on to become leader of the daring Rogue Squadron, among other things. Of course there’s Jek Porkins, who is infamous as a source of mocking laughter for his portly self somehow fitting into his cockpit. The main problem with this class proposition is that we don’t know how much space combat will factor into the game. Either way, it presents a balance issue— Pilots would most likely be gimped on the ground, while having bonuses other classes wouldn’t have in flight, potentially turning many off of the space combat altogether. Furthermore, Luke, the most iconic pilot, wasn’t a pilot first and foremost. He was a farmboy, then a Jedi in training, and then a Jedi. While Wedge was primarily a flyer, most of his exploits are EU, which presents a problem, as BioWare is drawing much of their inspiration from the trilogies to cater to a broader audience. More people have seen the films than have read the novels or comics, after all. Final evaluation: Not very likely as a class, perhaps as a profession. Completely dependent upon the implementation of space combat. [Sith Empire] Crime Boss – Ah, the infamous glutton Jabba the Hutt. While he didn’t make his way into the films until Episode VI (no, special edition doesn’t count), his imprint matches his physical size. Knocking people off, setting up robberies, commanding a small army of minions, and eventually hoarding a cache of credits and spice certainly sounds heroic, does it not? The caveats: while other games who’ve implemented a class like this, most notably City of Villains, have had multiple spawnable minions at the command of the player, this would not mesh well with the companion system already set up in SWTOR. Firstly, it would most likely be redundant. Everyone gets a companion! A workaround could be that they are less than heroic, simple thugs that are expendable. No need for companion quests for the thugs. The need for thugs is brought on by a Crime Boss’s aversion to doing their own dirty work. They’re not skilled combatants; that’s what they have minions for. However, in parity to the Senator idea, they could be the Sith’s main buff/debuff class. [Sith Empire] Spy – Also called the Assassin, this is one of the more popular Sith suggestions. Internet detectives have dissected the epic “Deceived” trailer and have decided it wouldn’t be completely far-fetched for the Twi’lek female who accompanied the Sith Lord into the Temple turn out to be a Sith Spy character class. Naysayers contend that she’s an example of the companion system. While the Spy doesn’t have an amazingly iconic movie counterpart– Zam Wesell was in maybe 5 minutes of total screen time in Episode II before Jango killed her—it’s been suggested that she could be a counter to either the Smuggler or the Senator archetypes: a light, quick, stealthy saboteur with tricks up her sleeve. While I find this an interesting possibility, I pray it doesn’t turn into the WoW-esque Rogue, with near-invisibility in broad daylight and enough debuffs to neutralize most targets completely. I’m a little jaded, forgive me. 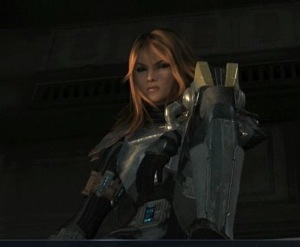 If this falls into the Republic side, it would round out the need for another heavy armor class for the faction. Final evaluation: Moderately likely as a profession, less so as a class. Other classes have been proposed for the need of direct mirrors. While I believe BioWare is trying to avoid direct mirrors altogether, instead spreading counters and checks through two classes (I see Bounty Hunters being Troopers crossed with Smugglers for instance), it’s still a viable path for the devs. [Sith Empire] Commando – Every army needs its grunts, and for every army of grunts, there need to be elites. The Republic has its Troopers, and while the Bounty Hunter matches it in heavy armor capabilities, the Bounty Hunter isn’t a soldier in the same sense. [Sith Empire] Slaver – This would be a minion class much akin to the Crime Boss, except that it’s typically proposed as a ‘pet class’. This again becomes redundant because everyone gets companion characters, so I don’t really see it as a viable possibility. [Republic and Empire] Second Force-Users – A fringe idea is that Jedi and Sith be split into two separate classes depending on whether they want to specialize in Force Use or Lightsaber Combat. Many see this as preposterous, as having half of the already small pool of classes being Force Users significantly cuts down on originality, and the confirmation of character specialization leads us to believe that we could spec either way. Final evaluation: Highly unlikely. Not happening. Republic: Jedi, Trooper, Smuggler, Senator. Sith Empire: Sith, Bounty Hunter, Officer or Spy, unknown. Yes, that’s an ‘unknown’ in the last slot. I really want to split Officer and Spy into the last two possibilities, but I think Officer/Senator comes too close to exact mirrors for the current layout. That’s also why I think it’s likely that either the Senator or Officer will make it into the game, but less likely that both will. Only time, and BioWare/LucasArts will tell. This is pretty much what I believe the final three classes will be, the Imperial Officer, the Republic Senator/Aristocrat/Noble, and the Imperial Spy. Good work, nice to read something by someone with sense! Good article, I mostly agree with you. Concerning the sith classes, not having the military side of the sith empire would be a loss in term of story, so there would either be the trooper or the officer. Having the officer, so being a leader could lead to interesting choices story wise. But I fear this class would be lacking in term of gameplay so let’s take the trooper instead but it’s already on the republic side. would be a sith class that uses cover. 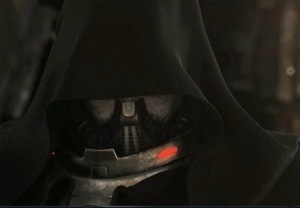 My other bet for the sith is the spy, he could use cover and bushes to hide and disguise himself as an ennemy sabotaging by placing traps and ambushes, definately a good potential for story and gameplay. Yet, concerning the senator I completly agree that it’s the last iconic possibilitie. But gameplay wise, apart from the buff role, I’m affraid that it would be to much like the smuggler using cover and spray and pray tactics. Anyways I’m eager to see what Bioware has for us.